As veganism has spread, the mega-publishers have been increasingly taking notice and working to cash in. While it is great that veganism is becoming more appealing to the mainstream, it is important to recognize those who have been working on promoting the cause for years, and to support vegan businesses. 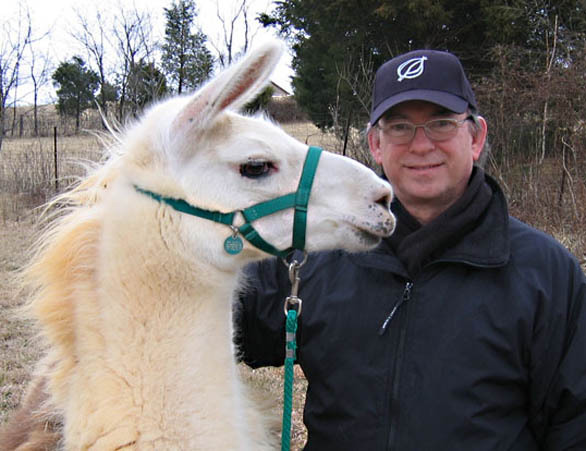 This week, we are thrilled to welcome Jon Robertson, founder of Vegan Heritage Press. I want to thank Vegan Publishers for inviting me to contribute here today. The staff at Vegan Heritage Press is so happy to have more vegans putting out books to promote vegan awareness! 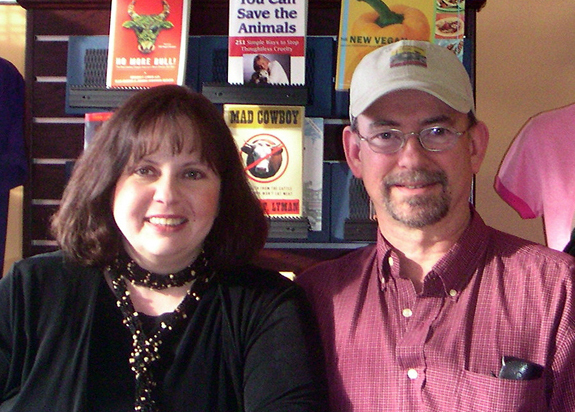 I thought I’d start with a little background on how my wife Robin and I became vegans, and how I got into the publishing business. Up until the late eighties, Robin had worked as a professional chef. We were in our mid-thirties when she left the profession, and we realized we needed to get healthy and also live a life free of animal products. To detoxify, we became macrobiotic for two years. Then we went vegan, and after the restrictions of macro, eating vegan was a vast banquet! We had never felt better in our lives, and have been vegan ever since. A couple of years after going vegan, I went into professional publishing, while Robin followed her new dream of becoming a food writer. While I spent the next twenty years learning the publishing business, Robin’s training and knowledge of international cuisines helped her produce a number of pioneering titles, including her now-classic Vegan Planet. During the nineties, I was chief book editor for a company that published a dozen new titles a year. After that, I spent seven years as managing editor for a magazine. I got bored. As a vegan, I wanted to do something worthwhile to help people recover from what had become an awful mainstream diet, and also help the environment and the animals. Robin and I talked about making a big change in which I could put my skills where my passions were. She would continue writing for various publishers, while I would start a publishing company of my own. In 2007, I founded Vegan Heritage Press as an independent company dedicated to publishing vegan titles, primarily cookbooks. Our mission is to promote healthy living and compassion toward life. Like Vegan Publishers, we are vegans who care deeply about spreading the word. One of our goals is to advance vegan cooking and living so that more people learn why going vegan is the better way. Over the last seven years, Vegan Heritage Press has published some wonderful work by an amazing group of authors. My staff and I are especially excited to introduce incredible new talent to the vegan culinary world. We have published books by several first-time authors, including Betsy DiJulio’s The Blooming Platter Cookbook and Tami Noyes’ American Vegan Kitchen. We’re proud to have given life to their work, and we love to watch their careers continue to grow. Betsy just published an outstanding feature in the May issue of VegNews. Tami has written several new books and is quickly becoming a veteran author in her own right. Amber Shea Crawley’s first book, Practically Raw, enabled us to enrich our offerings into raw vegan, and we were especially pleased this spring to expand her game-changing approach with Practically Raw Desserts. Recipes from the book will appear in the July issue of Desserts. We also love to publish work by veteran cookbook authors like Bryanna Clark Grogan and my wife Robin. Bryanna is an innovative, technical cook whose book World Vegan Feast teaches as it provides authentic international recipes. Recipes from Robin’s Nut Butter Universe – just out this February – are going to be featured in the September issue of Cosmopolitan. As a small company staffed by vegans, we have found that we are able to offer our authors the support and expertise that comes from really understanding what people look for in a vegan cookbook. We only publish a few titles a year so we can give time and care to each book as we guide it through the editorial process. We also allot a longer amount of time to promote each title than large publishing companies do. This gives our books and their authors the opportunity to really shine. Robin and I dreamed big when I first imagined starting Vegan Heritage Press. In 2007, the mega-publishers were just beginning to take notice of veganism, and there were 20 or so new titles in a year. Now, seven years later, we are astonished by the incredible growth of veganism and vegan publishing. As a vegan publisher, I am proud to continue to help bring veganism out of the “special diet” category and into the mainstream. I can honestly say that I love the work we do at Vegan Heritage Press, and we are looking forward to more great things this fall and in the years to come. Thanks again to Christen and Casey for inviting me here. I’m excited about Vegan Publishers’ launch. We wish you all the very best as your plans unfold!